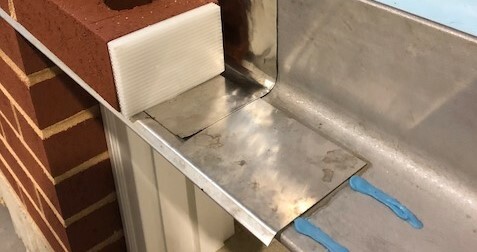 York Flashing’s prefabricated stainless steel Drip Edge and Inside/Outside Drip Edge Corners are recommended with all of York’s flashing products. Made of 26 gauge 304 stainless steel, drip edge is made with a 30° hemmed outside edge. Corresponding Inside/Outside Drip Edge Corners are pre-fabricated, soldered and are also made with a 30° hemmed outside edge.